Ever wondered why your pavement becomes riddled with potholes? Water is one of the main causes of asphalt pavement degradation and can lead to cracks, potholes and base failures. The longer water tends to pool on top of your pavement after which it will eventually start to seep into the pavement and eat away at the foundation, the worse the problem will become. This causes some parts of the asphalt to sink, leading to the creation of potholes as well as the degradation of your pavement. Water can also erode the edges of your pavements and driveways over time. This is one of the most popular methods of protecting your asphalt from the elements. This liquid solution protects the asphalt surfaces from ultra violet rays, snow as well as fluids from motor vehicles. Sealcoating also keeps your asphalt looking good for a longer period of time. By applying a new sealcoat, you can rejuvenate your worn parking lot or driveway, restoring that dark black look as well as protecting your asphalt. It is recommendable that you seal your asphalt at once every three to five years depending on its use and condition. It is important to understand that the sealcoat will only maintain the current condition of your asphalt. It will not do anything more such as correcting certain structural issues. It is of great importance to the lifespan of your asphalt pavement that you protect it from water damage. Make sure that your driveway has a proper drainage system away from your driveway as this will not allow any water to settle on your asphalt which will cause cracks and degradation. This can be done by building your driveway at a slope so that all the water can drain off. Oxidation of your asphalt causes your pavement to become brittle. Brittle pavement is more prone to cracking under vehicle loading. Once the cracks have formed, it creates a way in for water which weakens the base. Your pavement’s ability to carry traffic load is weakened as the water softens the compaction which also leads to more cracks. Potholes usually occur due to an oxidized pavement and a damaged base course. Oxidation causes the aggregates in the asphalt to loosen up and become undone while a water damaged base course can lead to depressions in the pavement. If you want to repair your damaged base course, the area needs to be dug up, replaced with new asphalt and re-compacted, preferably by a professional contractor. Make sure to include waterproofing tasks such as sealcoating, crack filling and pothole repair in your budget. 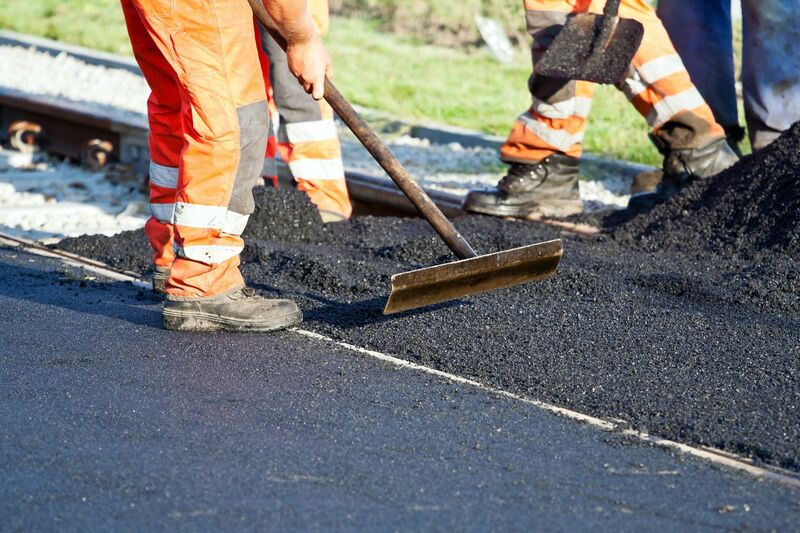 It is best to repair any problems on your existing asphalt before attempting any patch work. Cracks and or potholes mean trouble and should be repaired as soon as possible. Water can still get under the surface and destroy your whole pavement if the repairs are not made in time. Allow us at Jackson Asphalt to tend to all your asphalt related needs and repairs! Call us to discuss your asphalt related needs today!